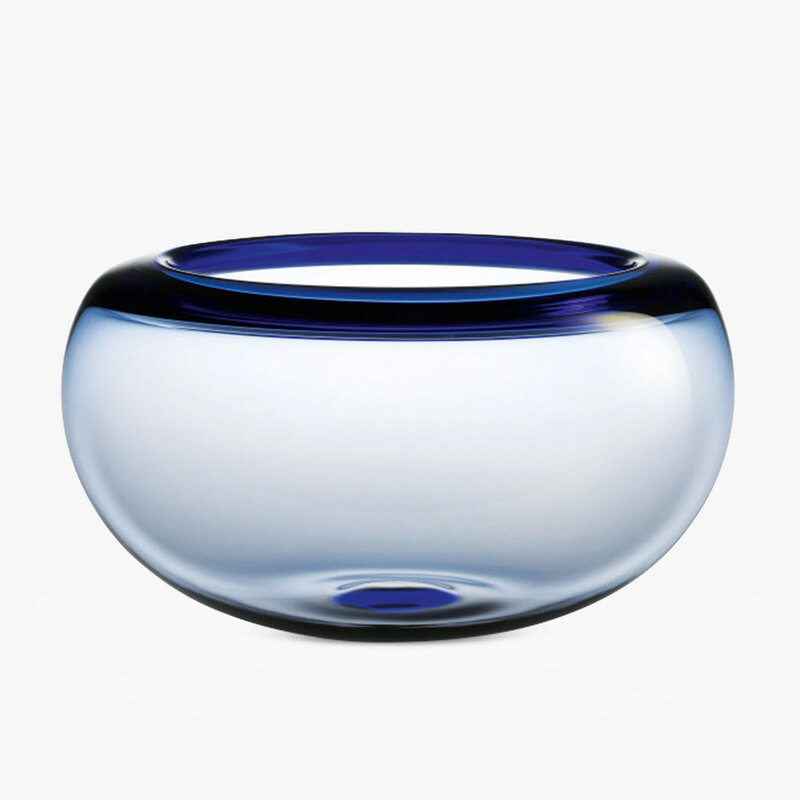 When Per Lutken designed the Provence Bowl in 1955, he also created a classic in Danish glass art. The blue bowl with a 31cm or 19 cm circle is in mouth-blown glass and freely shaped by hand. Use it as a small piece of luxury in everyday life, such as fruit bowl, for serving salad - or as a decorative feature in the window shade. The bowl is also available in the colour smoke. A good gift idea that can be inherited for generations. Each piece of mouth-blown glass is unique and handmade by the glass puster, which carefully blows the right amount of air through the narrow pipe. Air bubbles in the glass are therefore inevitable and form part of the charm that features blown glass.